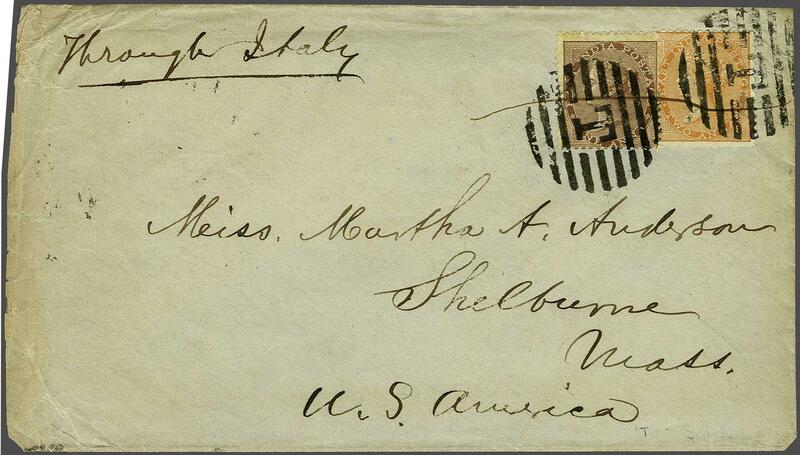 1865: 1 a. brown and 2 a. orange used on 1880 cover, with complete contents, mailed to USA cancelled with fine strikes of scarce circular barred "T" obliterators in black. 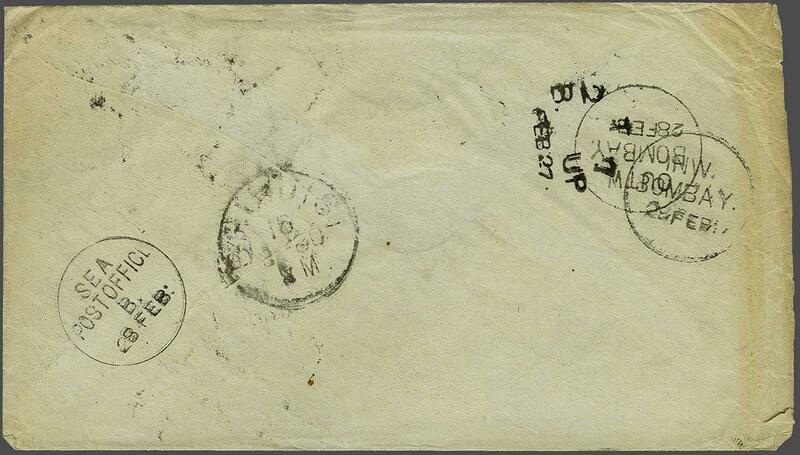 Reverse with TPO datestamp, Bombay and 'Sea / Post Office / B' cds (Feb 28), carried on the 'Venetia' to Suez. Brindisi transit cds also on reverse of a scarce cover.